Here are some matching boot cuffs to go with your Kimbrely Hat. I just love Red Heart Unforgettable! 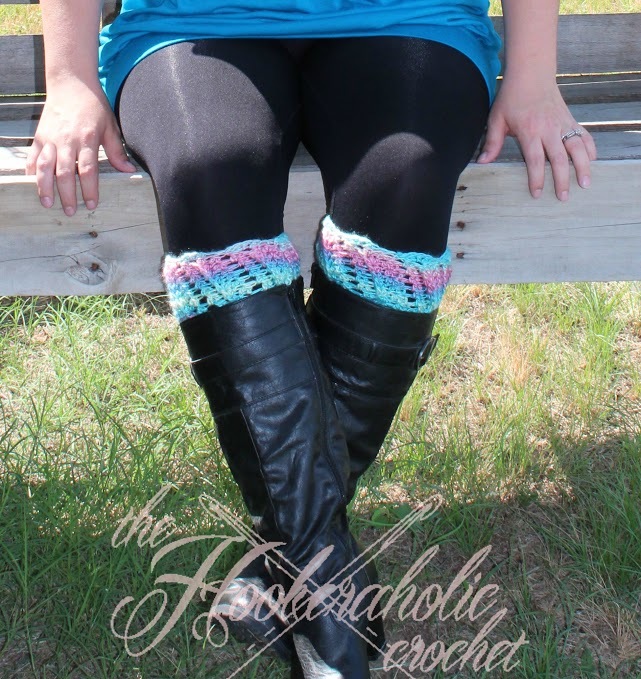 This pattern was designed by Shannon Kilmartin of The Hookeraholic Crochet exclusively for Cre8tion Crochet. NOTE: You will be working in the backridge/third loop of each stitch for Row 2-42. NOTE: Ch 2 does NOT count as a st. 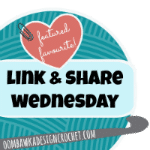 I hope you enjoyed this free crochet boot cuff pattern, the Kimbrely Boot Cuffs. 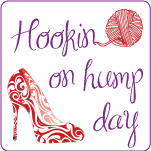 Shannon Kilmartin is the owner of The Hookeraholic Crochet. 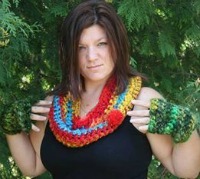 She enjoys designing various items from hats to scarves to legwarmers. Shannon’s mother taught her how to crochet at a young age but didn’t really get into crocheting until the end of 2012. 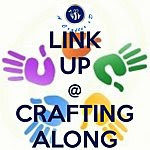 She than been designing crochet patterns since February 2013. Shannon’s goal is to someday design more clothing items. She also spins yarn and has a great love for embroidery as well. 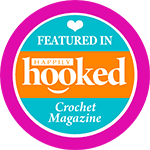 The Hookeraholic Crochet’s designs have been seen in Too Yarn Cute e-Magazine and Entwine Magazine. Shannon is also a wife and mother of 2 boys, Justin(12) and Cash(4). She can be found on Facebook, Etsy and her blog.